Self Managed Learning (SML), created by Dr Ian Cunningham, is a unique, research-based, research-based and practically proven approach to learning that delivers significant benefits over conventional methods. The charity is governed by a Board of Trustees made up of people who have a deep commitment to SML, most of whom have personally experienced the approach. They meet at least 3 times a year to plan and review strategy and financial governance. CSML publishes annual financial reports which are lodged with both Companies House and the Charities Commission. In the private, public and voluntary sectors in the UK and internationally. Strategic Developments International Limited (SDI), a social enterprise consultancy which donates its net profits to the charity, has provided programmes for people at all levels from CEO’s to apprentices, both in-house and across consortia. The SML framework has been used to support businesses in a number of different contexts, including leadership development, business development and cultural change. Outside mainstream schooling through the Self Managed Learning College. The College is the Centre’s main project, led by its Chair of Governors, Dr Ian Cunningham, providing SML to students aged 9 – 16 in Sussex since 2002. The College also provides regular placement opportunities for university students who wish to study the approach. In schools and other education settings around the world including Europe, Asia and the Americas. An example case study of a programme is St Luke’s school in Portsmouth, UK. Including higher level educational qualification programmes from HND to MSc level, parent groups, sports coaches and people nearing retirement. Anne has been involved with the Centre since its inception, initially as a Director and latterly as Chair of Trustees of the Charity. She has worked alongside the creator of SML, Ian Cunningham, for over 20 years. 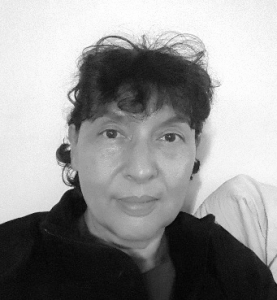 She is a seasoned and deeply experienced Learning Group Advisor and is passionate about bringing the benefits of SML to both organisations and individuals of all ages. During her early career, Anne held leadership and HRD roles in both large corporates and SMEs. As the CEO of Strategic Developments International Limited since 1994, she has provided leadership development, team development and coaching support for organisations across sectors in the UK and Europe. She was appointed Editor in Chief for the international journal ‘Development & Learning in Organizations’ in 2007 and has served on the governing bodies of two schools. Anne lives in Monmouthshire with her partner and daughter, enjoying walking in the Brecon Beacons and Black Mountains. As an Hispanophile, she travels regularly, enjoying different Spanish cultures/cuisines and continuing to grapple with Spanish grammar! 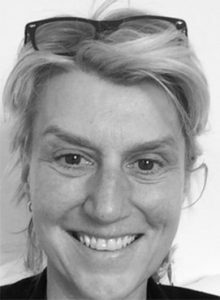 Avis is a member of the Governing Body of the Self Managed Learning College and has represented the former as a Trustee on the Board of the Charity since 2015. She became interested in Self Managed Learning as a well-researched and effective method, when her home-educated daughter attended the College from 2008-2011 before moving on to higher education and who is currently studying music at Leeds College of Music. During her daughter’s time at the College, Avis was a regular volunteer and acted as a parent representative on the governing body. Before becoming a home-educating parent, Avis studied law at the London School of Economics moving on to teach law at Middlesex University. She returned to college in her daughter’s teen years to study horticulture and now works for a local environmental charity and as a freelance gardener. In addition to gardening, she also enjoys walking and, as reported at the time in the local paper, once spotted the ‘Beast of Bevendean” – a large wild cat known to roam the Brighton area. 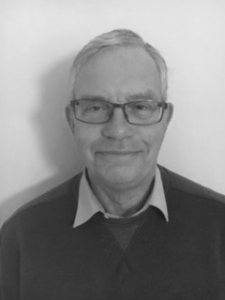 Ben became a Director of the Centre for Self Managed Learning in 1994 and currently acts as the Charity’s Treasurer. He has been actively involved with Self Managed Learning for more than 20 years and has published articles and co-authored four books in the fields of Self Managed Learning, coaching and work based learning. Ben spent the greater part of his career as a researcher, practitioner and consultant in the fields of individual and organisational learning, latterly as senior lecturer in individual and organisational development at the University of Westminster. He retired in 2010. He enjoys life with family and friends in a very busy household. He goes cycling whenever he can and brews his own beer. Liz has been involved with the Centre since 1997 and has served two terms as a trustee since the organisation became a Charity. She came across Self-Managed Learning in 1992 and she believes that being accepted onto the Self-Managed Learning MSc in Managing Change was one of the major events in her life. It has led to a lifelong continued interest in Self-Managed Learning. Liz feels that she didn’t fulfil her potential at school; she was petrified of the head at Junior school and then endured indifferent teaching and rigid streaming at Grammar School. 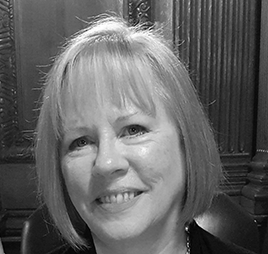 Following a varied leadership career in both the public and private sectors, ranging from banking and finance to the civil service, she has been a management consultant since 2000, specialising in collaboration and facilitation in addition to her work as a Learning Group Adviser with Strategic Developments International. As a farmer’s daughter, Liz’s love of animals continues today through her involvement with alpacas. 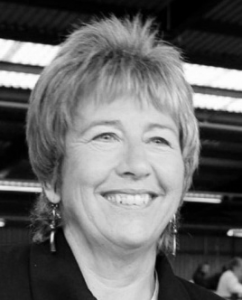 She screens alpacas for the British Alpaca Society, acts as a judge in the UK and Europe and provides training for aspiring judges and other breeders. Sam joined CSML as a Trustee and the Director of Research in 2018. He first found out about Self Managed in 2011 when he took a sabbatical to investigate why so many young people are unprepared for modern citizenship. He founded the charity, Guidance for Youth, to help young people experience the benefits of taking responsibility, valuing themselves and others, planning for the future and building relationships. Self Managed Learning was selected as the most appropriate framework to deliver this to over 50 students in Dorset between 2012 and 2017. He has joined CSML to develop a funding programme for high volume impartial research. Sam has worked as an IT consultant for almost 20 years across the private and public sectors. 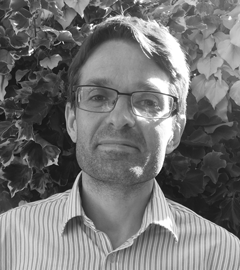 He currently works in Bristol University as the Data Architect for the ALSPAC (Children of the 90’s study) and has been involved with a large number of clinical trials. Sam lives in Dorset with his wife and daughter and likes heading down to the beach in winter when it’s all calm and peaceful. Vikki has been a Trustee of the Centre since 2015 and also acts as the Centre’s Company Secretary. She became involved in Self Managed Learning in 2008 when she introduced Self Managed Learning as the central tenet of the Leadership Development strategy for Nike across Europe. Having seen firsthand the power of the approach in terms of building competence, confidence and a culture of coaching and feedback, she is committed to spreading the word and supporting the ongoing development of the Charity. She has an international HR background in organisations including Nike, Vodafone, AXA and more recently the University of Plymouth. Since 2016, she has operated as a consultant and executive coach, she delivers SML programmes in organisations as part of the Strategic Developments International team and she lectures on HR and leadership related issues at undergraduate and Masters level. She lives in Devon with her husband, daughter and their two hypo-allergenic cats, and enjoys taking advantage of the beautiful moor and coastal landscapes that the location offers.